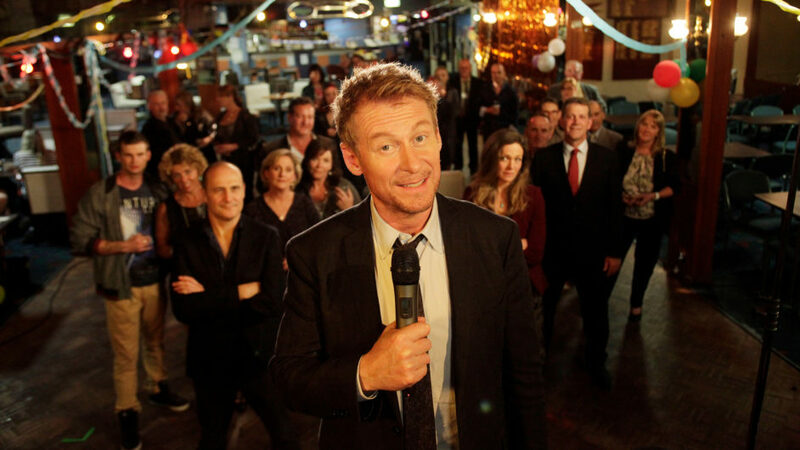 Smart but self-destructive lawyer Cleaver Greene (Richard Roxburgh, Moulin Rouge!, Van Helsing) faces new challenges to his career and his personal life as the hit Australian comedy-drama returns. Last seen dangling from a runaway hot-air balloon, Cleaver crashes into the window of wanted criminal Edgar Thompson (John Waters, Offspring). Forced out of hiding, Edgar stirs up a huge corruption scandal involving most of the politicians in Sydney and vows revenge on Cleaver. As Cleaver runs for his life, his best friend’s wife, Scarlet (Danielle Cormack, Wentworth), tries to explain her new relationship to her kids, and former prostitute turned celebrity writer Melissa (Adrienne Pickering, The Reef) returns to Australia in disgrace, harboring a serious addiction. Later, the sudden death of a colleague shocks Cleaver and his friends. Guest stars in this “scathing legal drama” (The Guardian, UK) include Miriam Margolyes (Miss Fisher’s Murder Mysteries), Rachael Blake (Serangoon Road), and Sara Wiseman (A Place to Call Home).